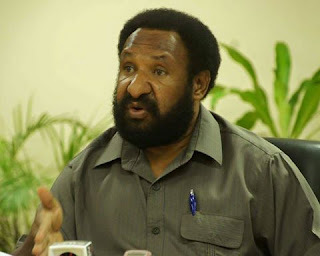 PORT MORESBY: The government’s proposal to venture into a coal mine in the country has met resistance from the Opposition.“The Opposition does not blindly support a COAL mine in Papua New Guinea. Regardless of it being a lucrative business or whether we have it in abundance or not, this is not an issue. “We do not support a COAL industry,” said Opposition Leader Don Pomb Polye when commenting on the proposal. 2. The second reason is the country has not managed its resources prudently. In other words, the O’Neill-Dion government has not managed our proceeds from the extractive industry wisely to create a sustainable income for the country’s economy. For instance, we have seen the proceeds from the PNG LNG project sent offshore to repay commercial loans borrowed from overseas. We do not see any proceeds of existing extractive projects benefitting our people. The people of the five host provinces, which have signed the Umbrella Benefit Sharing Agreements, have been cryingfor their dues for more than four years. No benefit has gone to these people. The five provincial governments have continued to struggle to get the benefits to their provinces. The question is if we continue to allow our government to exploit more of our resources in the extractive industry like the Coal, mine, gas…etc., what is the guarantee that our people will be benefitting today whilst we experience evidently that the people of this country are not benefitting from what they own- the resources? Even the OK Tedi mine, for instance, from which the Prime Minister announced a 39 per cent equity to the landowners that has not been materialised. When will we see our people benefitting from the 39 per cent equity? There is no benefit but only sugar-coated talks. The government has also pushed for a project in New Ireland-seabed mine. We do not know the benefits. We do not also know what has happened to it. When I was a minister, I opposed this deep seabed mining because it damages the environment. The proceeds have not been prudently managed for the people. Therefore, when the government continue to exploit more and more resources at the suffering of our people without exercising prudent economic management or giving benefits back to the people who own the resources, there is no guarantee that the new coal mine will benefit the people to build a strong economy. We must not develop projects which we already have their existence that are not benefitting our people. We need to diversify the country’s economy. We need to create a resilient and a sustainable economy. It is very important. We are yet to do that. We would like to see proceeds from the extractive industry diverted into building a very strong and big agriculture industry in PNG. We would also like to see a big manufactory factory developed from funds sourced from the extractive industry. These are the things which we should have achieved when we saw that the LNG proceeds were diverted elsewhere. We are yet to see these industries developed at least to see our people being turned away from the expectation of extractive industry to SME, tourism, agriculture or manufacturing-based economy. Without creating those industries to diversify the economy, the government deciding to develop a coal industry or any othersdevoid of proceeds materialised at the grassroots level, we feel that it is a waste of time and resources. It is a pure exploitation of what PNG offers as they do not earn benefits for the people who own the resources. These points must be observed by the government when bulldozing the project through. We will fix the economic strategies and policies to create that sustainable and resilient economy to benefit our people for a long time. I want to move away from the traditional way of managing the economy. I want to move away from the extractive industry which is only temporary. I would like to create very permanent industries in agriculture, downstream processing, tourism, Information, communication and technology and building and empowering SMEs. How do we do this? I will make sure PNG Sustainable program is restored because it is a good program. The government has made a mistake to disband it. Review the Sovereign Wealth Fund as it deviated from its original version; strengthen the Extractive Industry Transparency Initiative (EITI), establish agriculture commodity stabilisation funds, Commercialisation of fertile lands (Sepik Plain, Markam Valley, Baiyer valley, Waghi valley, Papuan Basin, fertile lands in New Guinea Islands etc…) into huge agriculture projects. That is what we should be doing.